An alarming number of older Americans are being forced into bankruptcy, as the rate of people 65 and older who have filed has never been higher - at three times what it was in 1991, while the rate of bankruptcies among Americans age 65 and older has more than doubled, according to a new study by the The Bankruptcy Project. “The people who show up in bankruptcy are always the tip of the iceberg,” said Robert M. Lawless, an author of the study and a law professor at the University of Illinois. 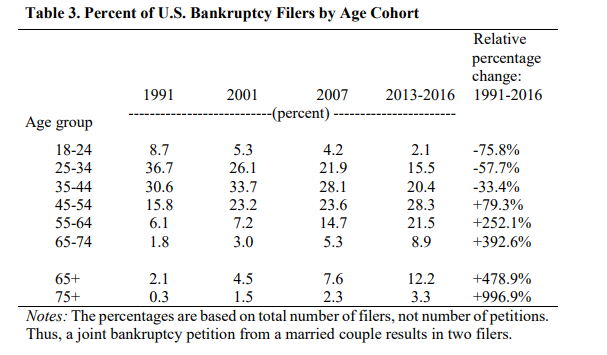 In the Bankruptcy Project's latest study - posted online Sunday and submitted to an academic journal for peer review, studies personal bankruptcy cases and questionnaires submitted by 895 BK filers aged 19 through 92. 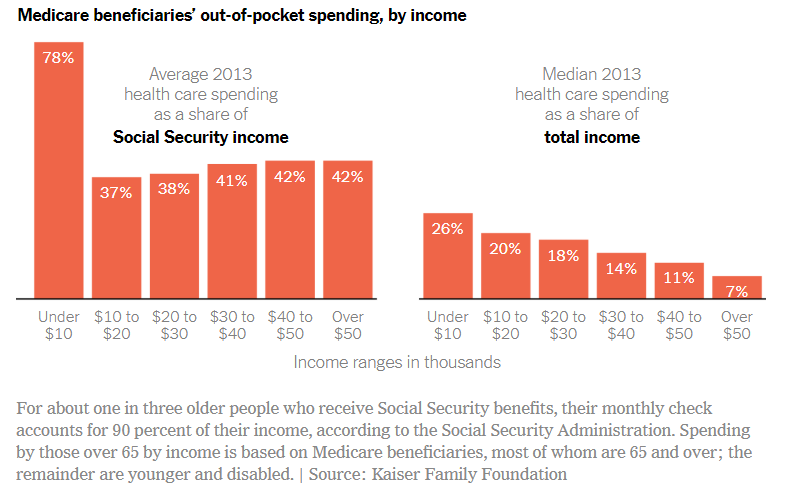 Meanwhile, by 2013 the average Medicare beneficiary's out-of-pocket health care expenses ate up around 41% of the average Social Security payment, according to the Kaiser Family Foundation. 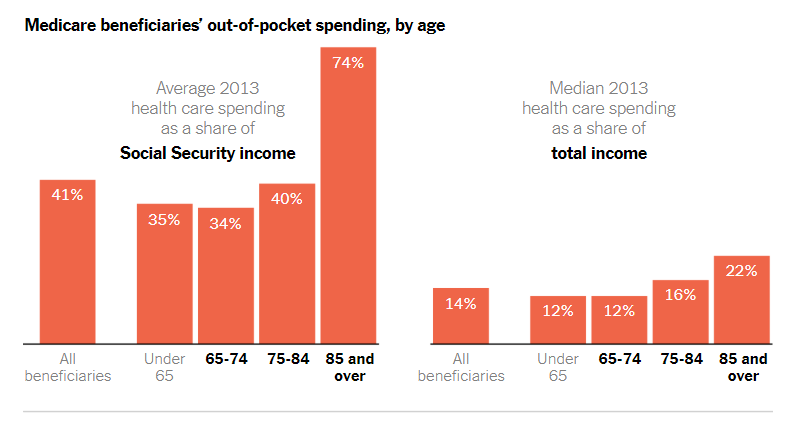 Moreover, more people are entering their senior years in debt. 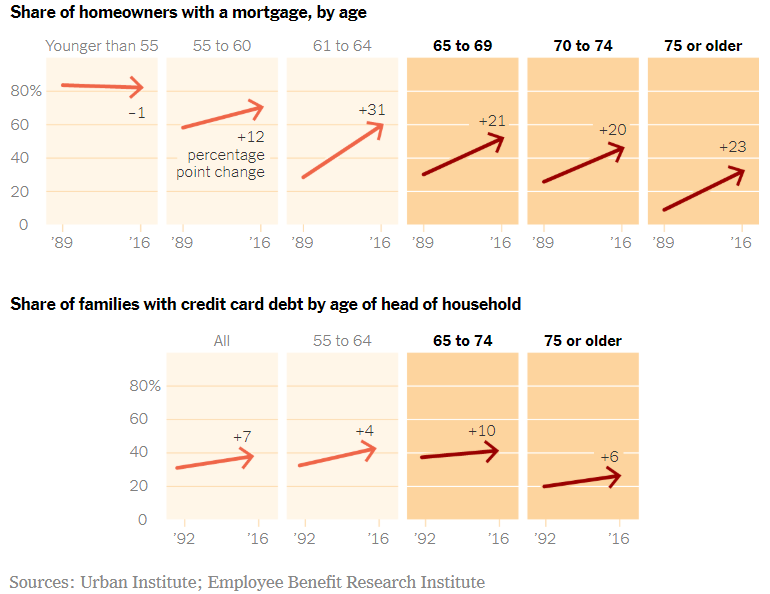 For many, that means a mortgage - roughly 41% of senior debt in 2016, which is nearly double the 21% rate from 1989, according to the Urban Institute. What isn't helping is that many older parents report that helping their children contributed to their bankruptcies. Seattle bankruptcy attorney Marc Stern says he's seen parents co-sign loans for $10,000 or $20,000 for their kids, only to find themselves on the hook when their offspring couldn't service the debt. “When you are living on $2,000 a month and that includes Social Security — and you have rent and savings are minuscule — it is extremely difficult to recover from something like that,” he said. Others parents had had co-signed their children’s student loans. “I never saw parents with student loans 20 or 30 years ago,” Mr. Stern said. CEO of Elder Law of Michigan, Keith Morris, said that bankruptcy was a hot topic among callers to a legal hotline he established for older adults.